The criminogenic and psychological effects of police stops on adolescent black and Latino boys by Del Toro et al. Bill to end prison gerrymandering passes second chamber in Washington State The Washington State legislature is close to passing a bill enabling its redistricting commission to end prison gerrymandering. Legal Resources The legal resource database was updated with a new listing for for all states. Legal Resources The legal resource database was updated with a new listing for New Jersey. New data: Low incomes - but high fees - for people on probation People on probation are much more likely to be low-income than those who aren’t, and steep monthly probation fees put them at risk of being jailed when they can’t pay. Legal Resources The legal resource database was updated with new listings for Louisiana and Minnesota. Legal Resources The legal resource database was updated with new listings for Virginia and Washington. 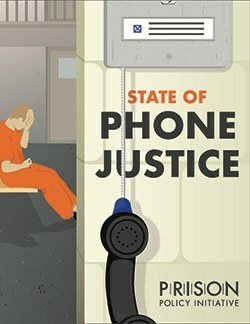 The movement for phone justice has won huge victories in state-run prisons, but people in local jails - many of whom have not been convicted of a crime - still frequently have to pay $1 per minute or more for a phone call. 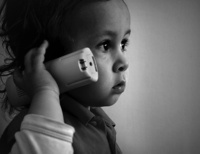 State of Phone Justice uncovers the cost of calls in over 1,800 jails nationwide, explaining why sheriffs sign lucrative phone contracts that prey on pretrial detainees and enrich private phone providers. The report allows readers to compare the cost of phone calls in thousands of locally-run jails and state-run prisons, and goes into unprecedented depth on the state of the prison and jail phone market. 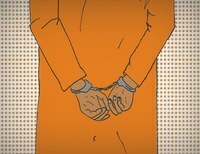 Learn about the national prison crisis and how we can begin to turn the tide on mass incarceration. Then, drill down to your state. If our work is new to you, you might want to check out our 2017-2018 annual report.